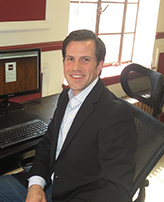 Tino Peabody founder of Peabody Residential has been a real estate broker for more than 7 years, been involved in residential real estate for over 12 years and is a Northern Virginia native. Real Estate investing and management has been the main focus throughout his real estate career. After initially beginning his real estate career overseeing a private real estate investment company, he transitioned to general real estate brokerage. With a background in business he has grown and sold his own real estate brokerage, developed and implemented brokerage operating systems, owned investment properties and been a Top Producing Sales agent. Tino continues to develop the company and leads the staff of Peabody Residential through continued education in the newest technology and standards of the real estate industry. Monica Ryan has a background in International Marketing and Sales and has been a Licensed Real Estate Agent for more than 14 years. Prior to working with Peabody Residential Monica covered Asia/Pacific and South America holding several high level management positions and traveling the world selling products manufactured in the USA, a fact she is very proud of. When she decided to stop living out of a suitcase, residential real estate was her first choice for a new career. As a Foreclosure Expert, Monica managed multiple contractors doing everything from minor repairs to clean outs to major renovations. 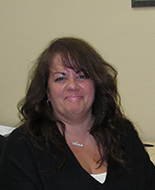 Her understanding of repair and maintenance issues and how to control costs while getting work done in a reasonable time frame have perfectly prepared her for managing the Maintenance Department of Peabody Residential. Monica has implemented a Maintenance Solution for Peabody Residential second to none. Monica is fondly referred to as the “Queen Bee of Maintenance”. 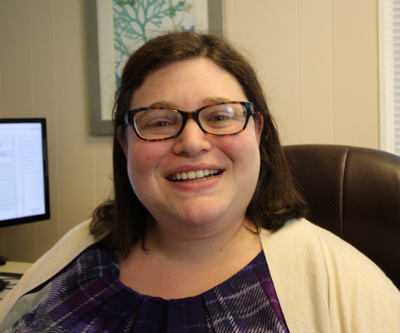 Becky assists the team in the administrative aspects of new client intake, including ensuring that all documentation is correct and received in its entirety and setting up new properties in PR operating software. We utilize seasonal and part time staff to assist our executive team when needed. Although our staff members may be out of the office or we may be closed for business, you may still hear from us. This is a result of our support staff being there when you need us. Although our business is normally a 9-5 Monday -Friday type business, this is really not the case with a home. *The exceptional staff at Peabody Residential is the foundation on which we have built our reputation and been recognized as one of the Top 5% of Management Companies Nationwide, the Top Rated Management Company on Angie’s List and recipient of the 2010, 2011, 2012 and 2013 Super Service Award.